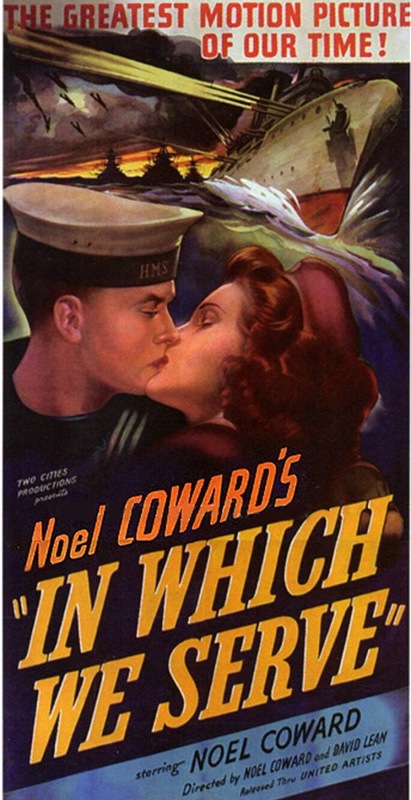 I have just watched In Which We Serve , David Lean’s first movie direction job which he shared with Noël Coward. It was Julie Mills first movie, too – she played John Mills’ newborn daughter, in a crib. No lines to learn, but probably the first example of “method” acting. The character played by John’s wife, pregnant at the time she was in a house (in Plymouth?) which was blitzed, was sheltering under the stairs, so she survived. My mate Clive Broomfield’s Mum made us all huddle on the stairs during thunderstorms. We were embarrassed, being 10 year old boys, to be huddled with his Mum and two younger sisters. She was a child in the war, and was reliving the blitz. This entry was posted in Movies, Random and tagged David Lean, HMS Torrin, In Which We Serve, John Molls, Julie Mills, Noël Coward, The Blitz. Bookmark the permalink.